How can we remove these waters? In every ship, purification plant are been installed and these plants are meant to separate water from fuel, as well as impurities. Now to explain more on the process, when two liquids of different densities are separated using a centrifuge, this equipment is known as a purifier, but when the same centrifuge is used to separate solid(sludge) impurities from the fuel, it is called a clarifier. Actually a purifier also removes solids(sludge) from the fuel to some certain level , and a clarifier also removes water from the fuel, but it is advised to use both purifiers and clarifiers for complete purification of the fuel. What is the Clarifier working process? A clarifier works as a back up system if one feels that purifier has not completely removed dissolved solid impurities from the fuel. What is the purifier working process? Purifiers have a dam ring that works to create a line of separation between fuel and water. However, in clarifiers, instead of a dam ring, a sealing ring is used that prevents water and dissolved impurities to remains inside the bunker tank. 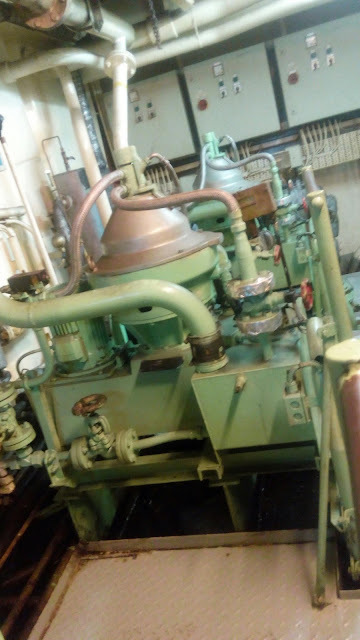 However, in our modern time, these two processes are being installed in one plant, to create more free space in ship engine room.